This eBook will not tell you the story of a unicorn. It will tell you the story of a real company just like yours, with real challenges building over years of operations. 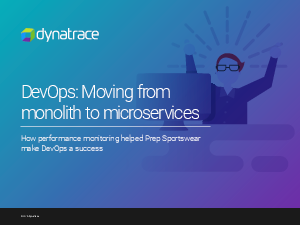 It will tell the story of how Prep Sportswear struggled, the steps they took to move the organization towards DevOps, and how performance management helped. Register now to download this free report.